Apple announced last week that it would make iOS 8.1 available to add Apple Pay to the newest iPhones in the U.S. Today it’s making good on its word. The software update is now available, but it includes a bit more than just Apple Pay, so even older iPhones and iPads will see benefits. [company]Apple[/company] Pay is the spotlight feature here; make no mistake. With it, you can use an iPhone 6 or 6 Plus at retail stores simply by holding your iPhone and the Touch ID sensor near a supported point-of-sale terminal. Apple Pay also works for online purchases, so your phone or tablet doesn’t need to have an NFC radio in it. The Camera Roll is back but only for those who choose not to use Apple’s iCloud Photo Library, a new beta service. You can switch between using 2G, 3G and LTE networks in the iPhone settings. The former is a new option; I’ve used this in the past when facing congestion on LTE networks, as switching to 3G-only service has helped temporarily. 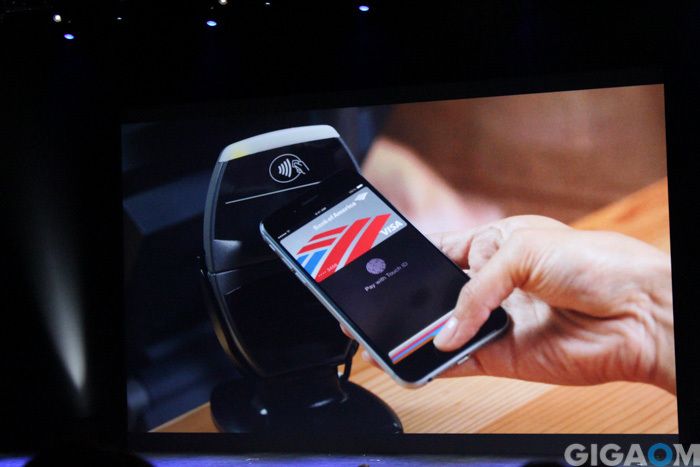 Passbook passes can be sent between devices using Apple’s AirDrop feature. Keyboards gain a dictation option to use a third-party service as opposed to Siri. Depending on your iOS device and mode, the download could range in size. For my iPhone 6 it was 126 megabytes, so this isn’t going to be a massive upgrade or overhaul. Now it’s time to see if Apple has indeed cracked the mobile payment market in the U.S. with Apple Pay. Kevin, I am a nine months or so into my first iOS device, and hope that 8.1 has eliminated the following problem (which after searching appears to have affected others in previous version of iOS as well): sometimes links in messages sent to me do not work! Clicking on them does nothing…nothing happens. Fiddling with the orientation (to and from portrait to landscape) seems to help (but now always). Now for my rant: am I the only one who thinks that iOS, in general, is kind of ragged…and in MUCH need of improvement and tightening up? It sort of works (and is essential for me since all immediate family members use Facetime etc exclusively, on devices that I have set up! ), but it works in the same way that the latest version of iTunes works (and in the same way that early versions of the finder in OSX worked)–not simple, far too complicated, and a mess to do, at times, the simplest of tasks. Joseph, I don’t think there’s a “perfect” mobile platform as they all have pros and cons. I switch between the three main ones on a fairly regular basis and see things I like in all of them. As far as iOS sort of working for you, I can’t really speak to that: You and I very likely use our devices in different ways and for different purposes. I know that sounds a like I’m dodging the question but that’s the truth. I don’t find iOS to be that complicated or messy to use in most cases. Again, that’s just me. Some things are easier to do in Android (or can’t be done iOS at all with a jailbreak) and vice versa, of course.